It's a fairly short and sweet blog offering from me today but I thought I would share these new shoes with you! You may recall I bought something similar from New Look way back here, I was a little bit late to the party then but it looks as though this style of shoe is here to stay! I didn't get along too well with the New Look version, I felt they were a tad blingy for everyday wear with the gold heel and they weren't particularly comfy so I eBayed them when I first starting culling my wardrobe back in May. I've seen a few bloggers donning these on Instagram so I decided to give these Topshop ones a go! I love the fact the are completely flat! They aren't leather as I didn't want to spend big bucks after not being 100% sold on the initial New Look pair. I have the suede-look version, they also come in red and leopard print Very pleased with them for £28. I've been a bit tardy on the blog front of late, I blame the school holidays!! Normal routines go out of the window for a few weeks, no house work gets done and it's hard to find the time to keep up with everything, not that I'm complaining as I do love spending quality time with the family! Anyway, I will just share a few of my recent outfits, I do post my outfits most days on Instagram if you don't already follow me, you can do so here! How is everyone else faring in the school holidays? Some fabulous looks Michelle, love the shoes, I have three pairs of the Ghillie style flats so I'm pleased it's a style the going to be around for a while. You are rapidly becoming my style crush Michelle, you always look amazing in everything you wear! I really didn't expect you to go for some more ghillie shoes but you're right, I think they are here to stay for a bit longer. They can take over from your black Figs which I note you have certainly had your money's worth out of. I'm really hoping the nice weather is here to stay a bit longer ... I still haven't been able to wear all my summer clothes - how miserable is that? Im a bit like you Michelle I have tried but haven't found the right pair! It certainly looks like the ghillie shoes are here for a while, and more? I need to have a look at the Topshop ones, especially if they are comfy....These days that's always a major factor!! Some great outfit choices, and so pleased you've become a culottes convert too....I absolutely love them, especially with your new shoes!!! 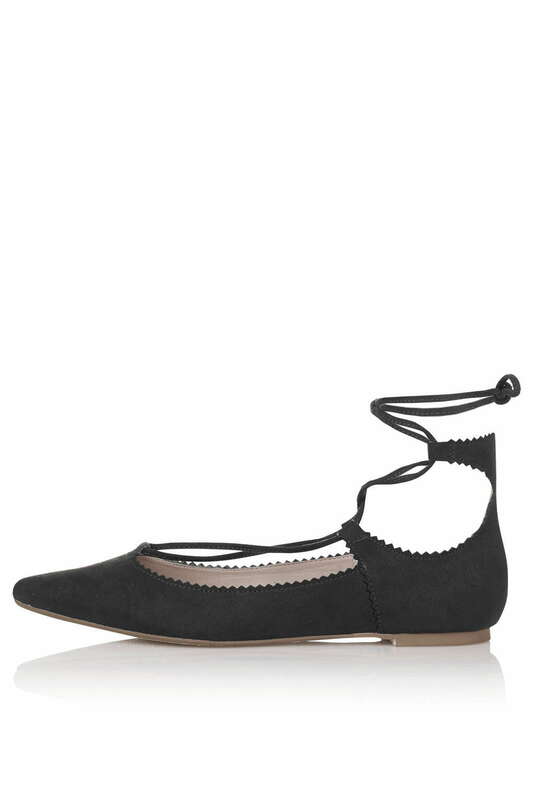 I have a similar pair from Next - your culottes look perfect with your shoes. What I'm eyeballing this week!